Your gardening website can be viewed in mobile without any hassle in mobile or tablet. As free gardening WordPress theme is designed to be affable with AMP plugin. You can make your gardening website more visually engrossing. This can be done by delivering your posts in a brew with multimedia, video, banner or any other element. Visitors can comment on your blogs or posts if they want. As a default template has been created with a nested commenting feature. You can update blogs, posts or articles related to your gardening agency in blog section which has been incorporated. This way you can attract more visitors and can engage them with your website for a long. It can be used to design websites like Lawn Services, Landscaping Companies, Groundskeepers, Landscape Architects, Gardening Business, Florists, ecology, landscape, lawn, lumberjack, Agriculture and companies that offer related services. Entirely responsive design hence, your website can be viewed in mobile, laptop, desktop, tablet or any other device with ease. Social media plugins like Facebook, Disqus and others can also be added. As a result, your website become more social. It is designed with a user-friendly approach. So, it is easy to understand and get versed with free gardening WordPress theme. Schema compatible and hence Google review as well as author profile bio also get listed on search results. It is designed to be mobile friendly. One can view the contents of your website in device of any screen resolution. Your gardening website can be translated to any other language. As it is designed to be translation ready with POT file incarnation. Translation can be done with the use of PO Edit or LOCO translate. You can represent your website content in a blend with slideshow, gallery, images or videos. You can incorporate as many widgets as you want based on your requirement. As the free gardening theme is designed to be widget friendly. A global gardening website can be designed with the use of this template. It is possible due to its multilingual friendly design with plugins like qTranslate X, WPML and Polylang. Visitors can focus on images as well as text. As minimal design approach has been opted for designing free gardening theme. You can add fancy content style in various pages of your gardening website. As various page builders plugins like Gutenberg, Beaver, Elementor and others are congenial with this theme. Free gardening WordPress theme is having numerous shortcodes incorporated. More shortcodes can also be installed with the help of shortcode plugin which is designed affable with gardening theme. Top header, sidebar and footer are widget friendly and can make use of CTA buttons or text. Your website can be viewed in various browsers like Chrome, Opera, Safari and others. It is tested crosswise various browsers. Designed with a flat and material design approach. So, you can have a website which is compatible with both old and new browsers. Images and text can be represented in an uncluttered manner. As the theme is designed with clean look. Affable with latest version of WordPress as well as latest plugins. It is designed based on WordPress codex theme review standards. 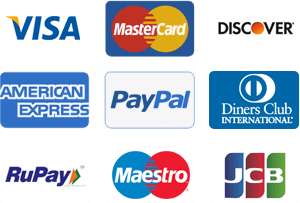 You can accept payment from your customers via an online medium. All the e-commerce transactions can be done with ease and efficacy. As the theme is congenial with WooCommerce plugin. It is much simple and easy to use even by a rookie who do not have any knowledge about handling websites and templates. Cache plugins can be incorporated in order to make your gardening website faster. It is designed to be cordial with cache plugins. You can incorporate various widgets in sidebar and can design sidebar for different pages as well as posts. Pages can also be used to represent your website static content about your gardening events and other information. Numerous layout options are also made available in the PRO version of the theme. Compatible with contact form 7 plugin so contact form is designed. So, any of your visitors can contact you if they want. Free gardening WordPress theme is tested with various RTL languages like Arabic, Hebrew and others. It can be pushed for advertisement due to its professional appearance. One can see the live changes happening on their website as it is designed based on customizer. With the use of color picker option color scheme of entire gardening website can be tweaked. You can shield your gardening website from malicious attacks and hackers with the use of security plugins. Incorporation of various social media icons in the header section made it more captivating. Also congenial with various social media plugins. Your website will have contemporary appearance as it is coded with latest programming languages, HTML and CSS3. SEO wise coding has been done in order to have good search results. Free gardening WordPress theme is designed to be affable with various SEO plugins. Gardening is a hobby for some of the people. Anyone who is having a small open space attached to their house wants to develop it as a garden area. It seems so beautiful and eye-soothing as well. If we consider from a scientific point of view then also having plants and trees nearby is good as it releases oxygen. Some can do gardening themselves but some do not have much time to manage. So, they hire a gardening agency who do the task for them. People also prefer gardening agency as they give them proper results as they want. So, we are here with this elegant and pleasant gardening WordPress theme which is designed for gardening websites. It is impeccable to design websites like Lawn Services, Landscaping Companies, Groundskeepers, Landscape Architects, Gardening Business, Florists, ecology, landscape, lawn, lumberjack, Agriculture and companies that offer related services. It is designed with an elegant layout and color. Although you can give color to your website as per your choice. This is one of the best themes to design any gardening related website. Give this theme a try and see its results on your gardening agency.